Howard Schultz and Starbucks politics, Roger Stone and Fred Flintstone as gadfly, Donald Trump and his Humpty Trumpty sat on his wall Barney Rubble Cave…welcome to Looney Tunes America and another week in Trumplandia — these subjects and more in our political review on The Halli Casser-Jayne Show with Halli and veteran White House correspondent Matthew Cooper, and an important conversation with Kevin M. Kruse, the co-author of FAULT LINES: A HISTORY OF THE UNITED STATES SINCE 1974. 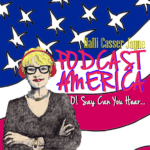 The podcast posted at Halli Casser-Jayne dot com and on all your favorite apps. As always, Halli and Matt slice and dice the week’s political news. This week we begin with Trump’s Barney Rubble cave and the temporary end of the government shutdown, the longest in history. We take up the indictment and the political history of Roger ‘Fred Flinstone’ Stone and many of you will be surprised. Starbucks creator Howard Schultz has thrown his coffee mug into the presidential ring and Democrats are freaking out…a little decaf might go a long way here. Kamala Harris is the new Princess Kiara of the Democratic Party… and that’s just where we begin. 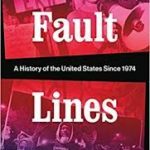 In the second half-hour, Halli is joined by Kevin M. Kruse an award-winning scholar on twentieth-century American political history and the co-author of one of the most talked about new political books FAULT LINES: A HISTORY OF THE UNITED STATES SINCE 1974. There is nothing dull here. You are going to love Kevin and Halli and Kevin’s lively exchange. Howard Schultz and Starbucks politics, Roger Stone, Nancy Pelosi, Kamala Harris, the Mueller Report, presidential contenders — these stories and more when journalists Halli Casser-Jayne and Matthew Cooper, and the co-author of FAULT LINES, Kevin M. Kruse talk politics on The Halli Casser-Jayne Show the podcast posted at Halli Casser-Jayne dot com, and on all your favorite apps.